There are two fun events taking place this week in OCNJ revolving around the ocean! If you love art and surfing, you’ll want to stop by the annual Art of Surfing Festival. This 18-year-old art festival gives surf artists the opportunity to exhibit and sell their work. This year’s festival takes place at the Music Pier Thursday, 8/2 – Saturday, 8/4. Enjoy the art, meet the artists from across the country, listen to live music, take a yoga class, and attend a book signing by Gidget. Admission is free. To see the full schedule please visit here. On Thursday night, 8/2, from 6 – 8 pm on the 34th Street Beach, cheer on your favorites at the OCBP Women’s Lifeguard Invitational Races. 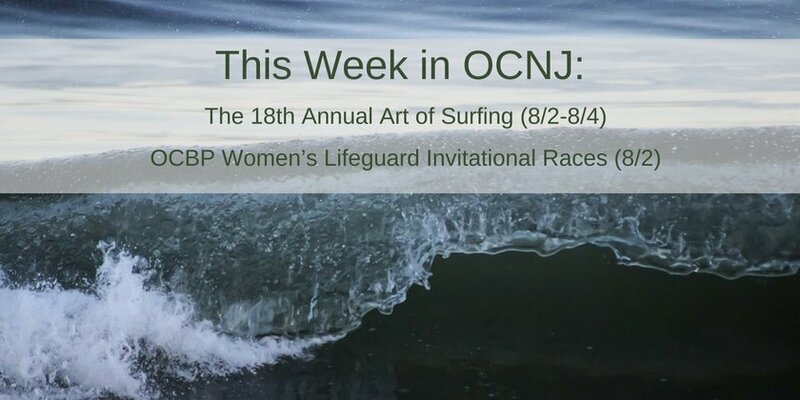 Women representing 15 beach patrols on the South Jersey coast will be competing! For more information call 609.399.6111.